It might be a busy time of year to be an Oleksiak parent. That’s because Richard and Alison Oleksiak will have two children competing at the highest levels of two different sports next week… and perhaps also competing for the attention of their proud and supportive parents. Penny Oleksiak, of course, will be swimming at the Commonwealth Games in Australia, while her older brother Jamie plays for a spot in the Stanley Cup Playoffs with the NHL’s Pittsburgh Penguins. Jamie, a defenseman with the Penguins, has five games remaining in the regular season, including season-ending April 5 and 6 games against the Columbus Blue Jackets and the Ottawa Senators, respectively. The Blue Jackets currently trail the Penguins by just a single point for the last of the Eastern Metropolitan Division’s playoff spots with the first team out thrust into a tight competition for the Eastern Conference’s two wild card slots. 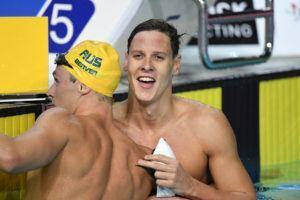 Those two dates mark the opening days of the Commonwealth Games from Australia, where Oleksiak will likely swim the individual 200 free & the 400 free relay (April 5) and the 100 fly (April 6). Luckily for the Oleksiak parents, the time zone change means Penny’s medal finals should happen in the wee hours of the morning their time, while the only direct conflict might be Penny’s prelims (about 8 PM Eastern Time) and Jamie’s games (mostly around 7 or 7:30 PM Eastern). Oleksiak hinted that she’d put a lot of focus on her 200 free lately in training. 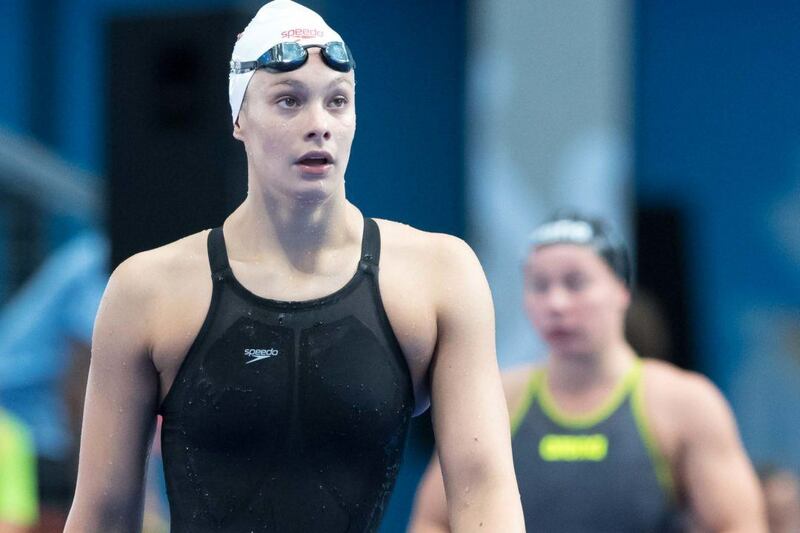 “I’ve been training a lot on my 200 free this year,” Oleksiak said, “and I’m excited to get to the meet and get up on some relays.” Despite holding a personal-best of 1:57.59 in the 200 (from Canadian Olympic Trials in 2016), Oleksiak split 1:54.94 on the team’s Olympic 4×200 free relay in Rio and should be primed for a big individual 200 free swim. High Performance Director John Atkinson said the team’s goal was to bring home more than the 11 medals it won at the last Commonwealth Games in 2014, though he said the team doesn’t talk about the specific numbers with regard to medal goals. Caldwell said she actually left Canada earlier, training in Australia for a few months. “After last year I was feeling a little bit mentally tapped out,” she said. 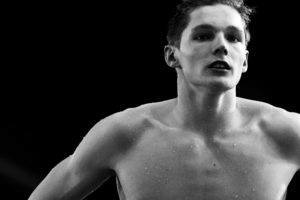 “I took the fall to cut back on training a little bit. I went back to school, which I’d taken the last three or four years off… I was still training, but at a bit of a reduced schedule compared to normal. I came down [to Australia] right after Christmas. It was just nice to be in a group of people my own age… It sort of reminded me of the group I had six, seven years ago. It was a really great change. It was something new. And a good way to escape winter as well, which is definitely one of my favorite things to to,” she added with a laugh. Will the commonwealth games be streamed? Can Americans view it? I don’t know about the United States, but in Canada it looks like it’ll only be streamable through DAZN. The BBC will have live coverage (with Adrian Moorhouse and Andy Jameson commentating, whose knowledge is matched only by their sarcasm) which might be available on World Service (or you can use a VPN). …except that she isn’t really in the picture at the moment. since having left titley (because of a rumored *crazy* mother) it’s hard to believe she’ll be as competitive. but who knows. What’s the crazy mother rumour? Please share. There’s nothing in those comments about a crazy mother as far as I can see? 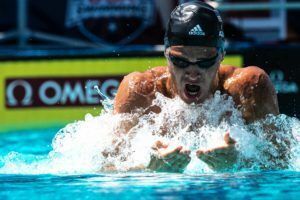 I don’t think it’s unusual to reflect on what you think makes you the best swimmer you can be and make a change. Titley is a great coach but she wouldn’t be the first to want a change from his style. Actually she said in an interview for a local Toronto paper that the main reason she left is she simply didn’t have the time. The year between the Olympics and moving back to the Toronto Swim Club, she’d often need to stay up until 2 in the morning doing homework, just to wake up at 5 or so to get to the pool in time. TSW is much closer to where she lives, and so is the high school she switched to. The move makes it a lot easier for her to manage her time. The gist of the rumor is that her mother is a helicopter parent who thinks she knows more than the coach, and it was a huge part of the reasoning behind the move to TSC. Again, Oleksiak explained in an interview that during the school year, training at the High Performance Center left her with about 3-4 hours of sleep a night on weekdays because of the travel time. Moving not only back to her old club, but to a different highschool closer to that club, made her time management a lot easier. That’s the main reason. I live in Toronto and I’ve heard similar rumors. What is said publicly in an interview vs. what is noted in a club setting are two very separate things. Apparently, it’s pretty well known in local swimming communities.